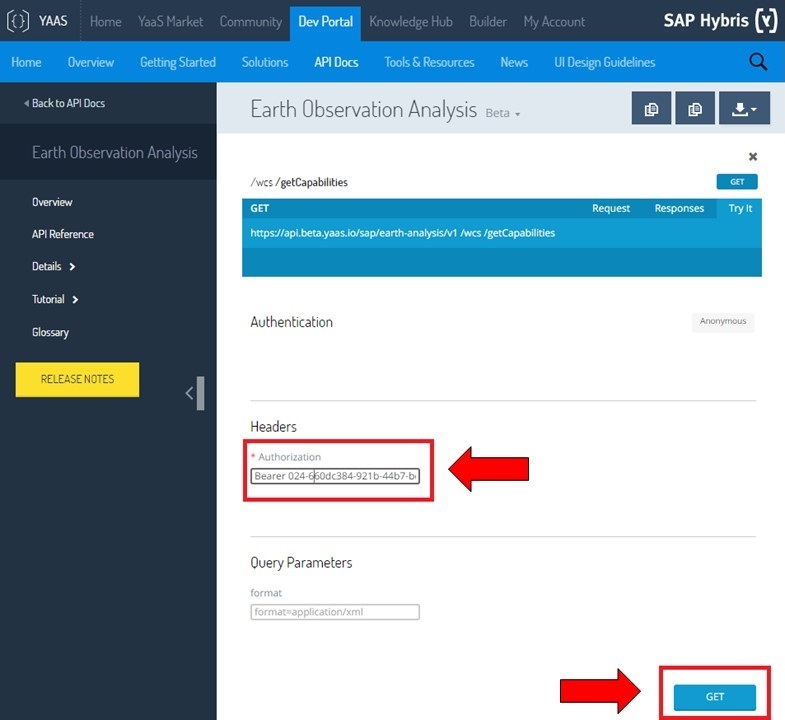 Introducing SAP Earth Observation Analysis for everyone.. 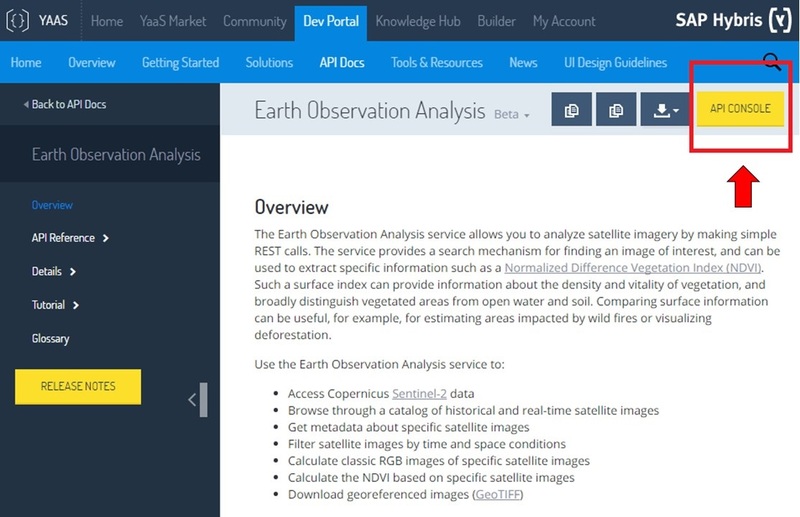 The SAP Earth Observation Analysis service can be used through YaaS since November 2016. The service is currently in beta phase and can be tested at no cost. It is planned to be generally available in the first quarter of 2017 with a new set of features. It will then be offered with a consumption-based pricing model. 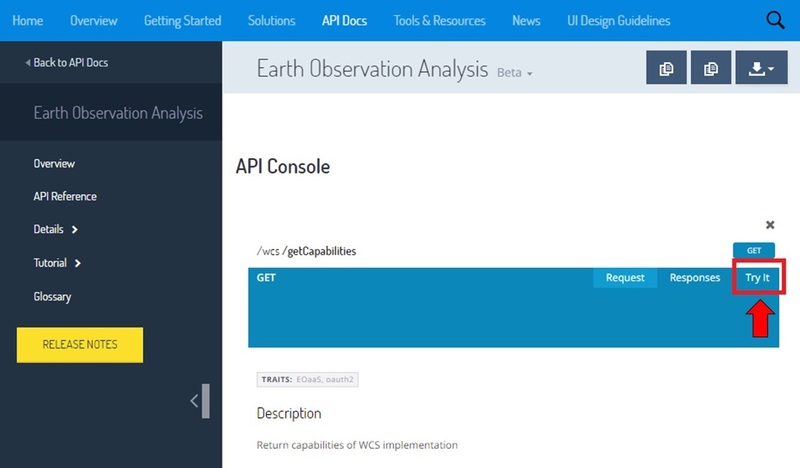 A set of related micro-services powered by SAP HANA will help entrepreneurs, partners, customers and businesses augment and build highly flexible solutions based on Earth observation data from European Space Agency (ESA). Sign In under My Account on YaaS. If not a member, you will need to Register under My Account on YaaS. It is free. Go to the YaaS Market and choose the option Worldwide (Beta) at the top-right corner of the window. 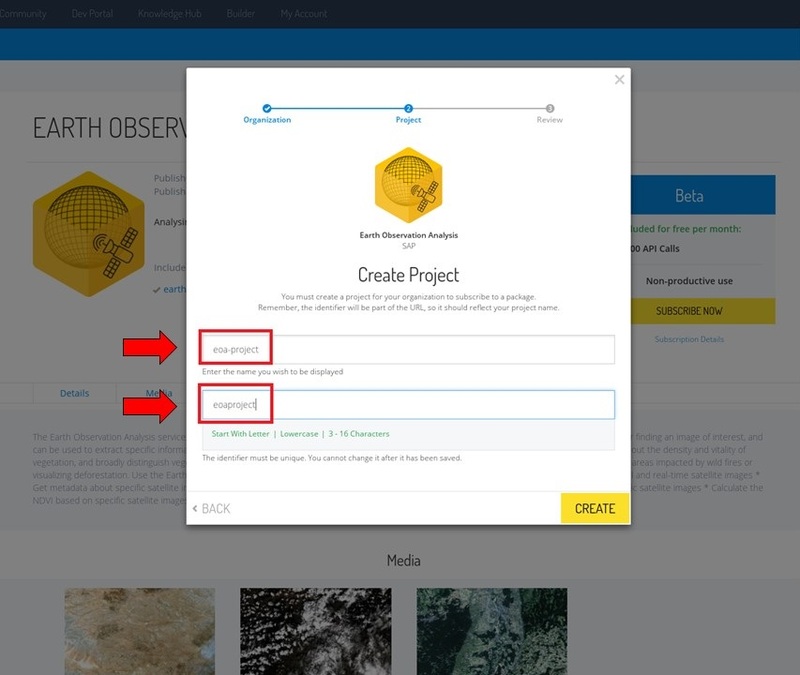 Scroll down and click on the SAP Earth Observation Analysis package. Once the request for subscription is made, create a project for the organization to subscribe to a package. Enter the display name of the project as you want it to display in the Builder. The project identifier is a unique identifier. 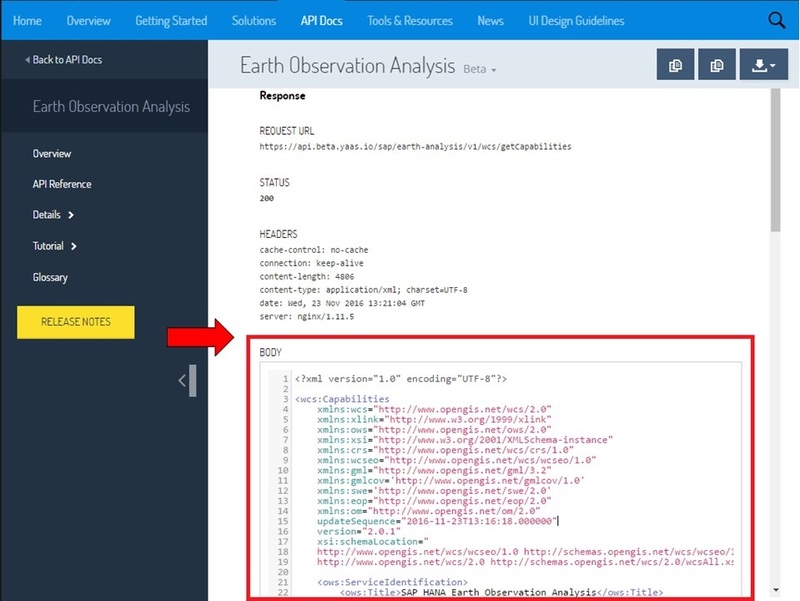 Click on the yellow API CONSOLE button in the API Docs page of SAP Earth Observation Analysis. Click on the blue GET button beside /wcs/getCapabilities. Click on the blue Try It tab. Open a new browser tab and follow the instructions how to “Create a Client” here. 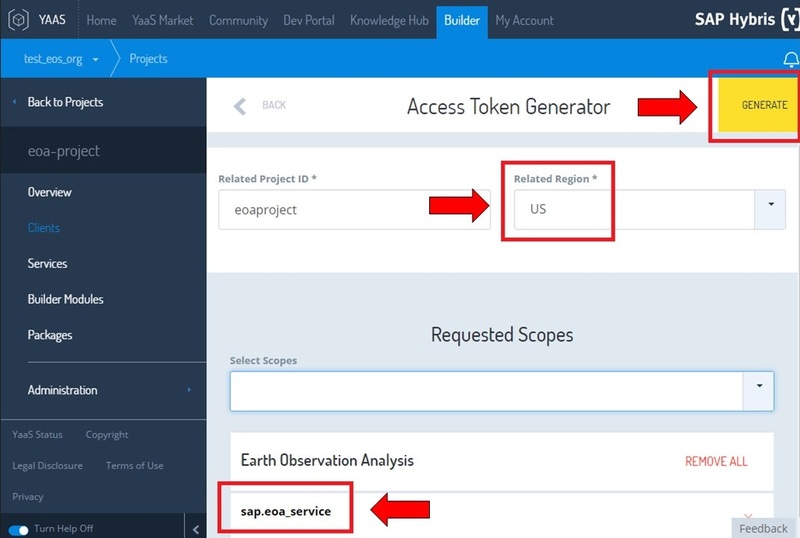 Choose the scope as sap.eoa_service and region as US. Click on the yellow Generate button to generate the authorization token. Paste your authorization token from the step before into the Authorization field. Remark: Make sure that the “Bearer” prefix is not lost. Then click on the blue GET. 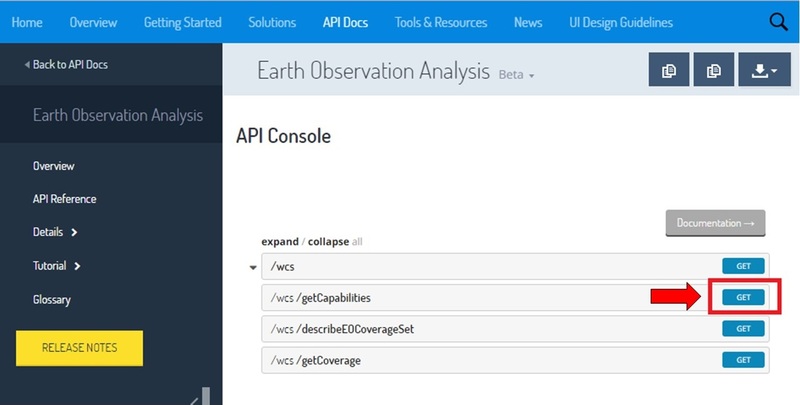 Celebrate your first SAP Earth Observation Analysis microservice experience on YaaS! 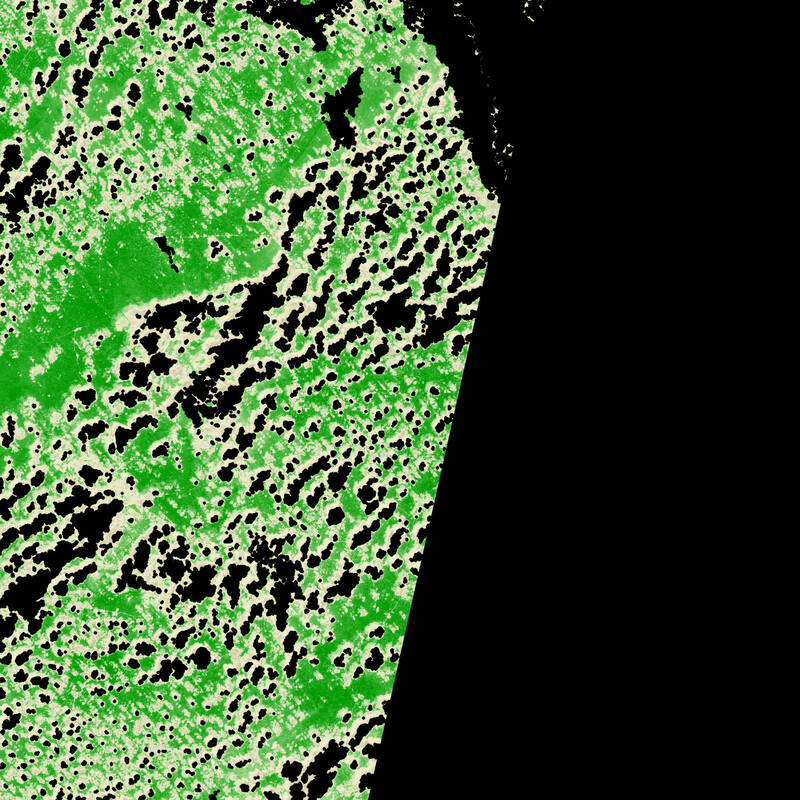 Now that you have got started with YaaS, refer to Port of Antwerp from space perspective for an interesting beginners tutorial. 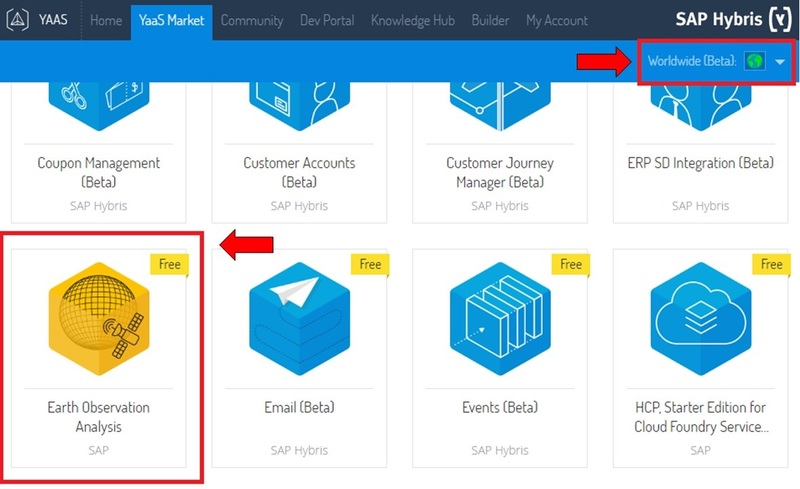 YaaS Market is the online marketplace for microservices-based application programming interfaces (APIs) and apps, where customers subscribe to microservices such as SAP Earth Observation Analysis. Thanks Sayon, this is really a great article. Yor those, who want to learn more, I recommend this post. Great post, Sayon, thanks a lot! Is there any information available on the global, geographical coverage (cloudless/with clouds) and on the kind of data that I can get (image/tile sizes, resolutions, …)?